Round and Round We Go! Where Your Design Stops – Only You Know! 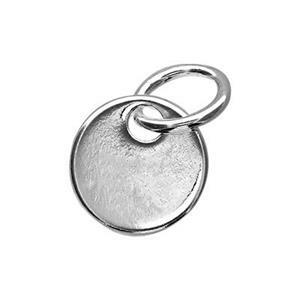 Our S10095 - Bright Sterling Silver Small Round Blank. 19 Gauge. Perfect for Stamping or Engraving, or soldering on a bezel and adding a gemstone! These come with a 6mm Open Jump Ring. Dangle your Creation from one of our many Sterling Silver Finished Neck Chains.